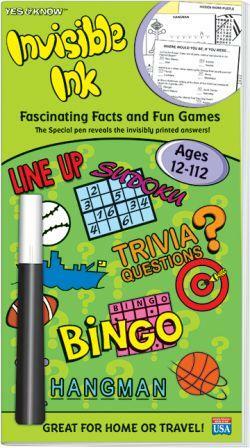 Blast boredom with this fascinating facts and fun games Invisible Ink book! Includes classics such as Hangman, Fleet, Tic Tac Toe and Bingo. 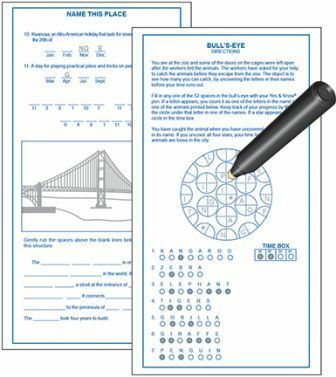 The Invisible Ink pen reveals the invisibly printed answers. See how much you know with hundreds of interesting questions on dozens of different topics. Have fun competing with the invisible opponent as you play games by yourself. 48 pages of the original "by-yourself enjoyment" that doesn't need batteries... delightful, fun, a perfect gift.